Electrical energy consumption analysis is critical to saving energy, and therefore more and more attention has been paid to make a consumption prediction. However, there are so many factors in the building that affect the energy consumption of electrical appliances that it’s hard to get an efficient method. To address these problems, the traditional linear regression model, SVM-based model, Random Forest (RF) and XGBoost algorithm were employed to explore the relationship between factors and consumption. 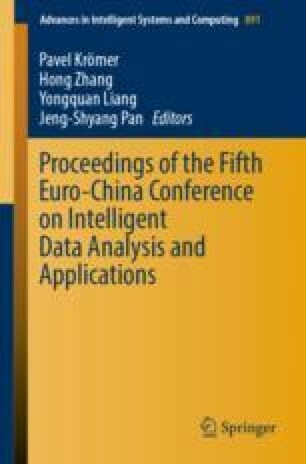 The experimental results show that XGBoost is an efficient method to explore correlation pattern and to make a consumption prediction; removal of lighting factor show a more reasonable result to the prediction accuracy; and factor of temperature shows a more significant for consumption prediction than of humidity. This finding would be benefit to energy consumption modelling and improving prediction accuracy. This work was supported in part by Projects of National Science Foundation of China (No.41471333); project NGII20170625 of CERNET Innovation Project; project 2017A13025 of Science and Technology Development Center, Ministry of Education, China; project 2018Y3001 of Fujian Provincial Department of Science and Technology; projects of Fujian Provincial Department of Education (JA14209, JA15325).